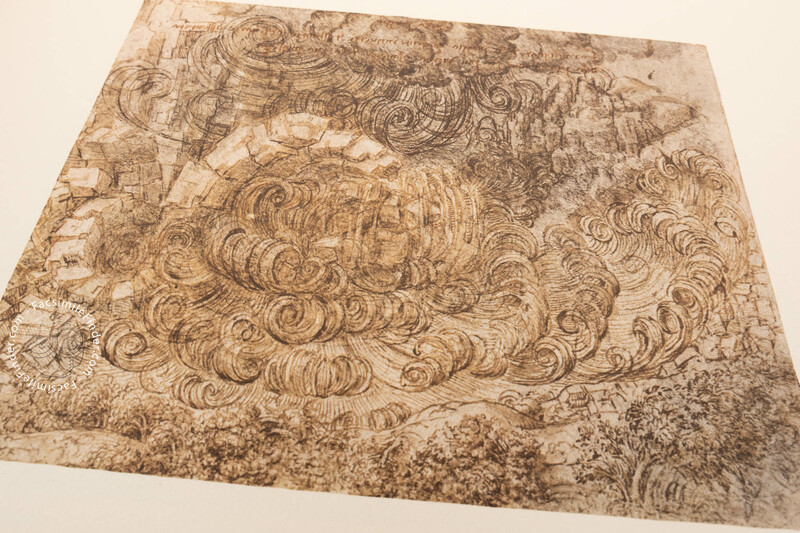 This collection of drawings, variously executed in ink, chalk, and silverpoint, bears witness to Leonardo’s passion surrounding the phenomena of nature. 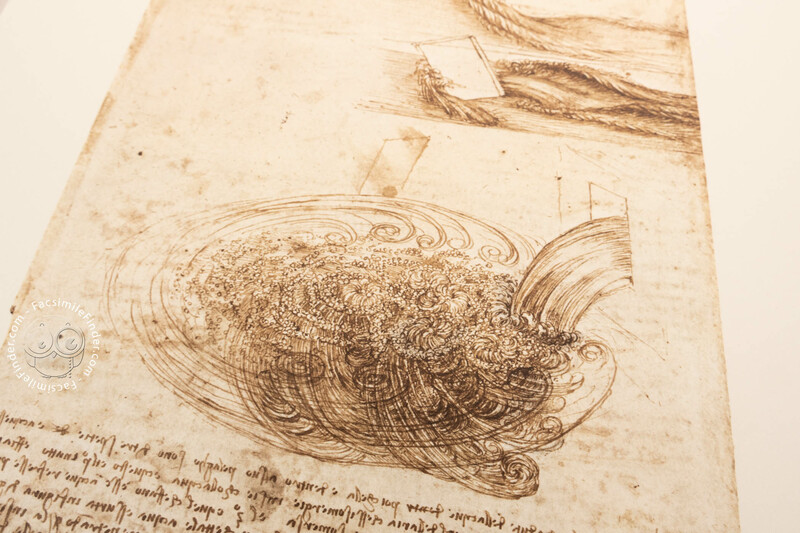 Flowers, plants and the movement of water are depicted with scientific precision: plants are shown in relation to the terrain where they grow, water is portrayed in all its headlong, destructive fury as part of an overall vision of atmospheric activity and turbulence, and mountains are studied from a geological viewpoint. 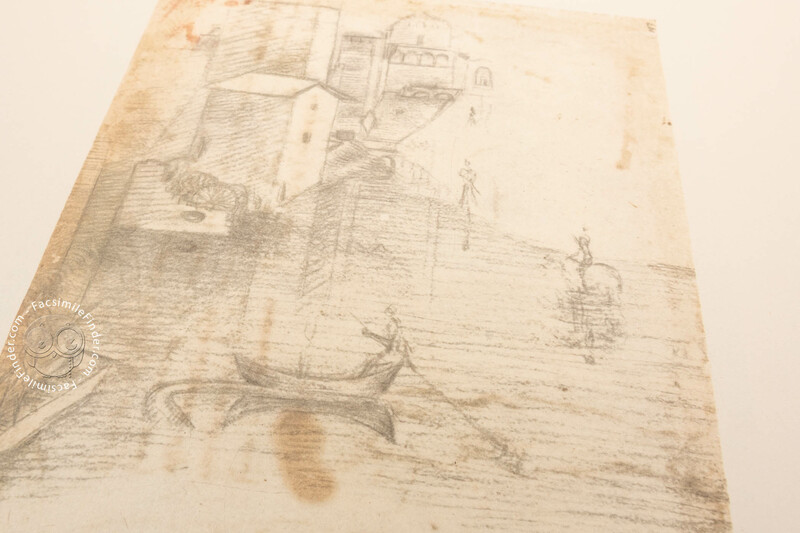 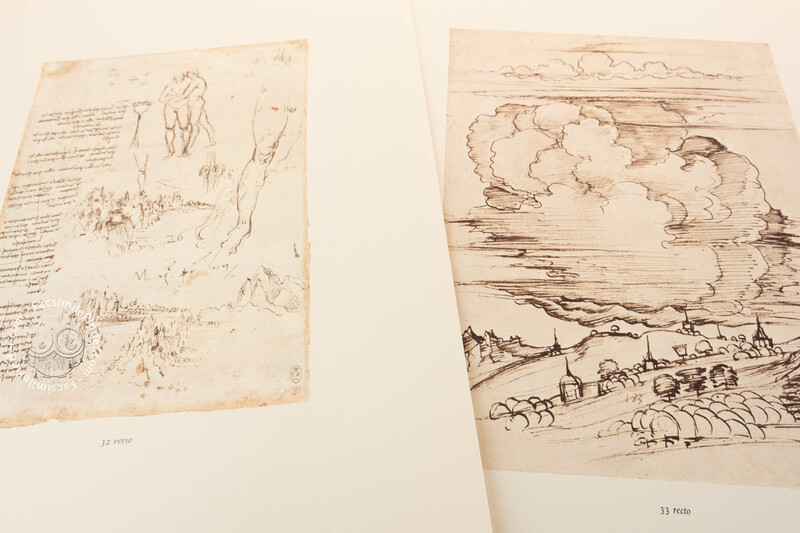 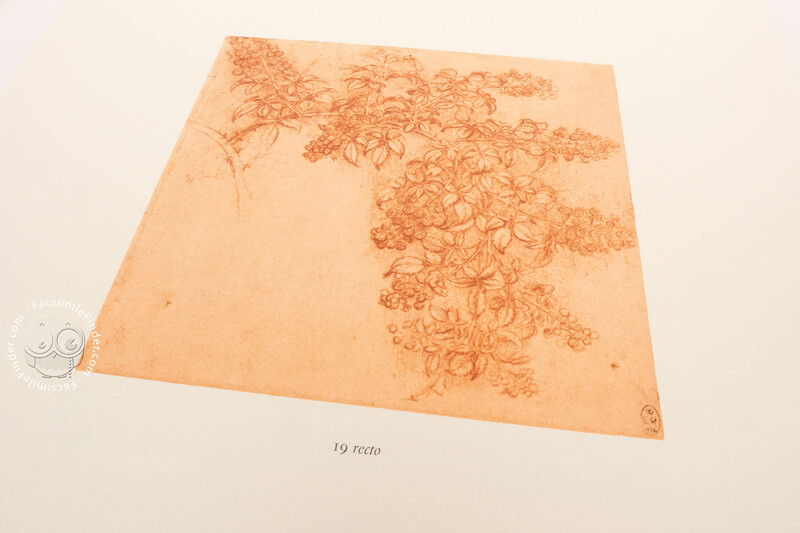 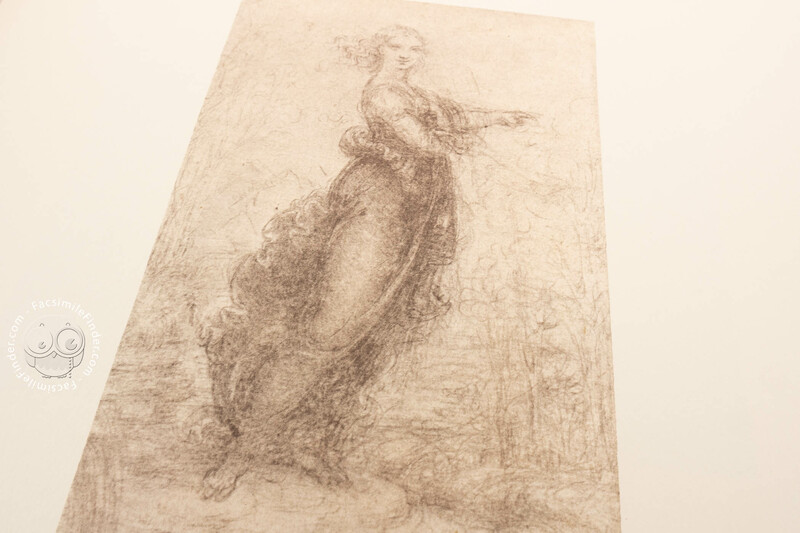 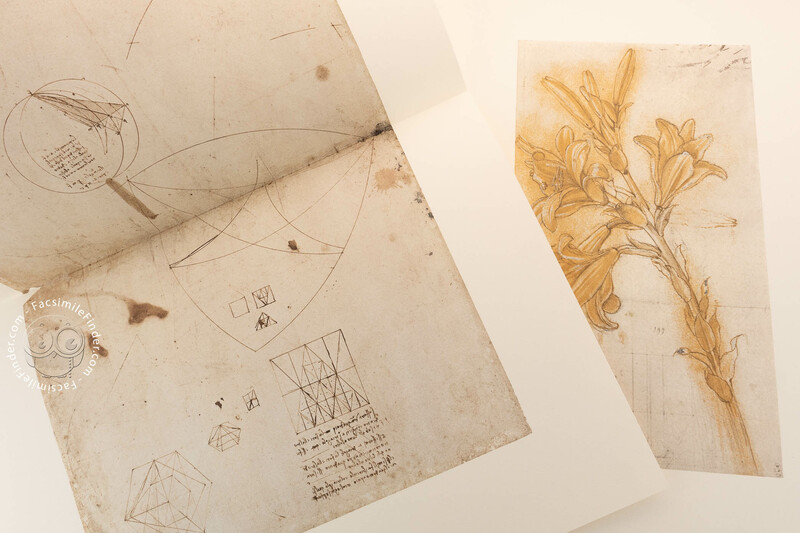 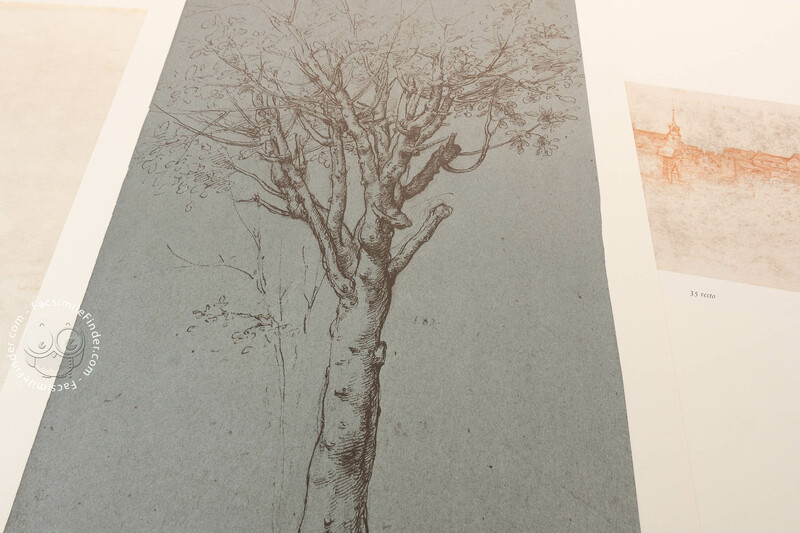 The drawings and miscellaneous papers of Leonardo da Vinci in the collection of Her Majesty the Queen at Windsor Castle / Landscapes, plants and water studies. 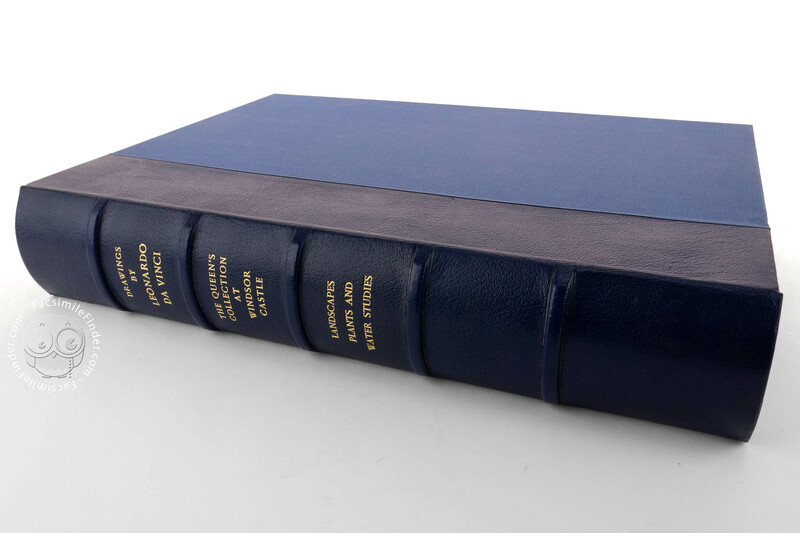 Half leather-bound box (size 330 x 480 mm) with gold tooling, containing 70 plates with facsimile reproductions of the drawings, recto and verso, and a 240-page volume of text with 150 black and white illustrations, bound in half leather with gold tooling on the spine. 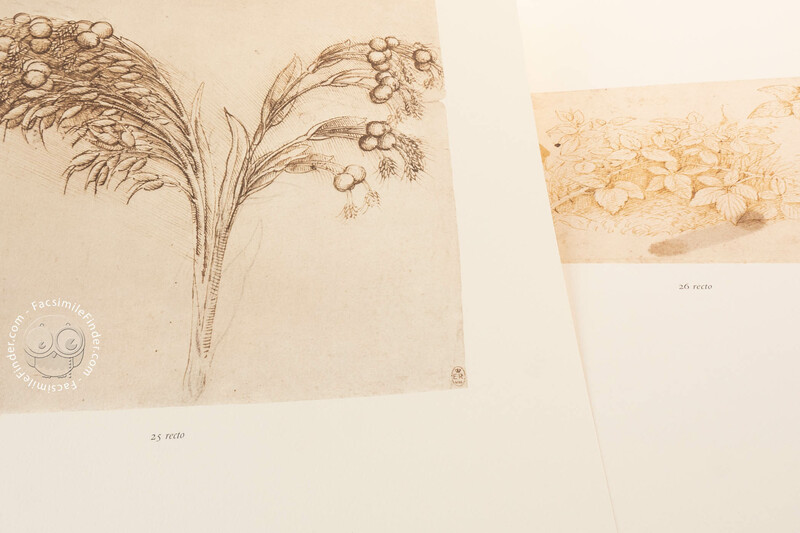 For the first time, Leonardo’s nature studies are presented in their entirety, accompanied by a catalogue by Carlo Pedretti and an introduction by Kenneth Clark. 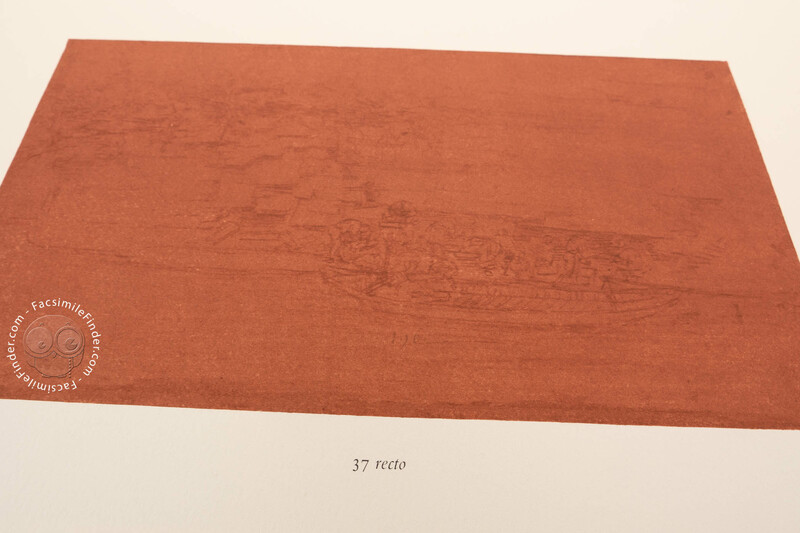 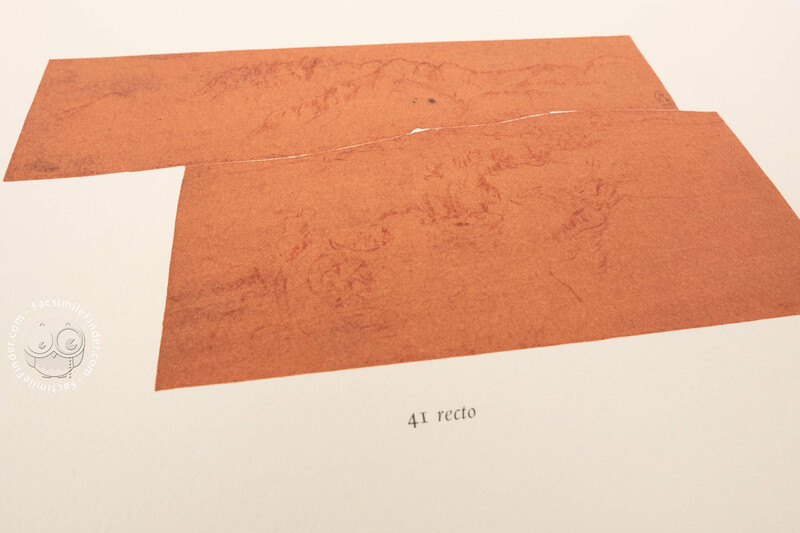 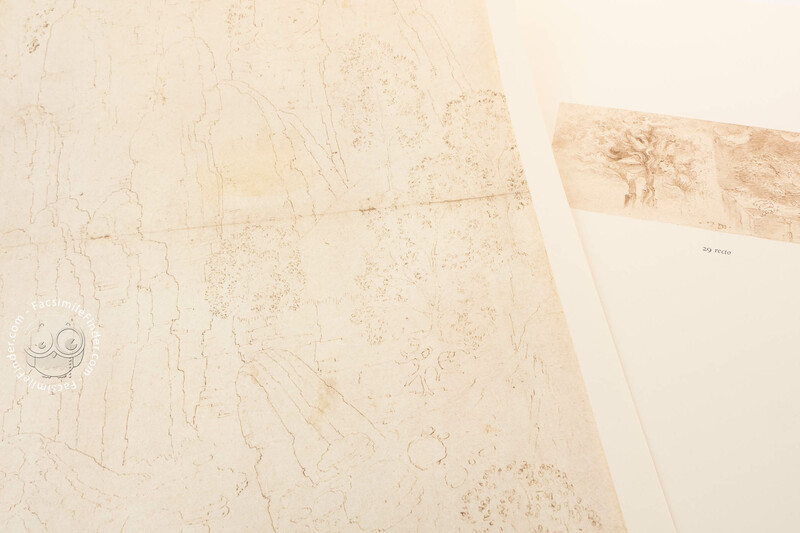 All the studies are arranged in chronological order and subdivided into ten categories consisting of a ‘topic sheet’ containing the elements of all the four classifications of Leonardo’s drawings at Windsor, early studies, narrative landscapes, mountains drawn in charcoal, plant studies for Leda and the Swan, school drawings, the red series (from the red ground on the paper used for the sanguine drawings), water studies, the Adda River series and symbolic landscapes and floods. 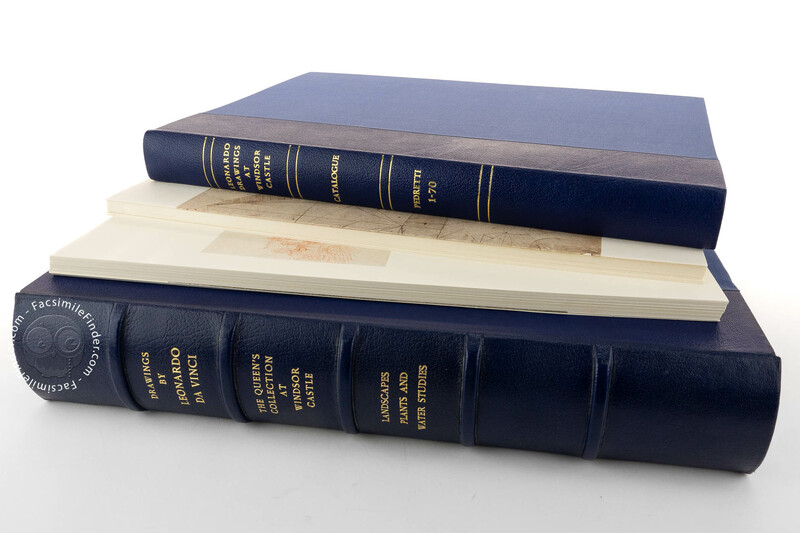 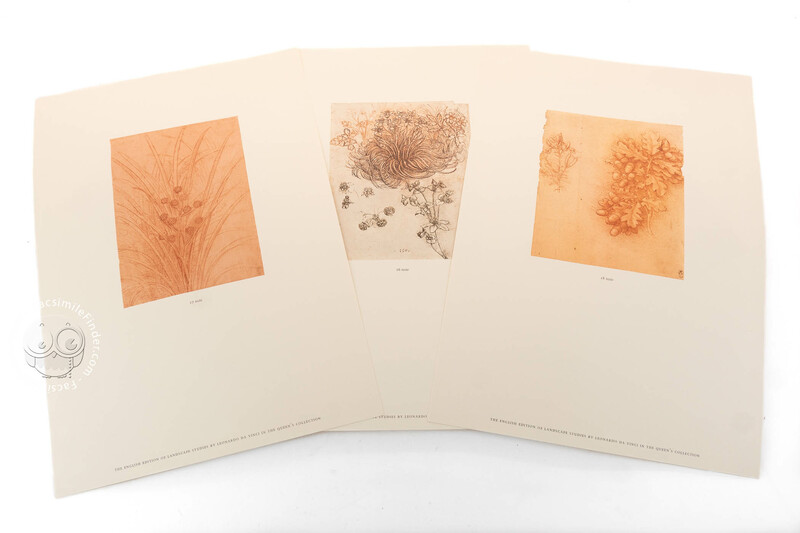 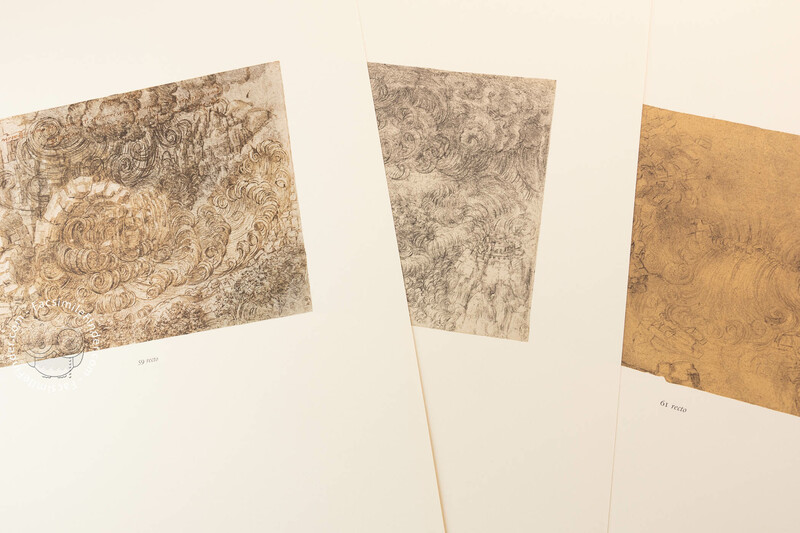 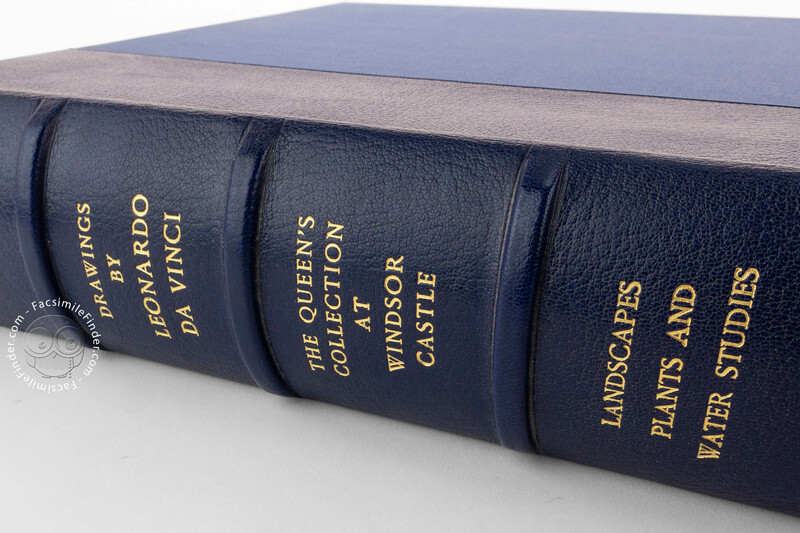 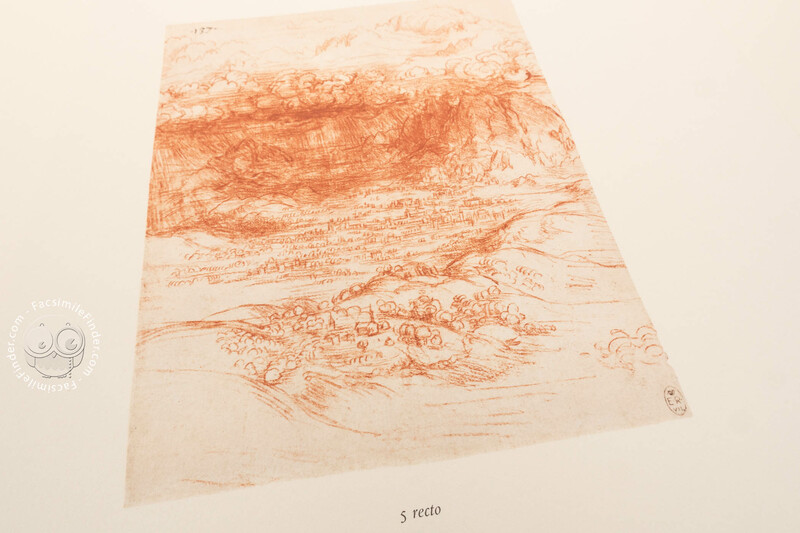 Landscapes, plants and water studies is the first volume of the collection "The drawings and miscellaneous papers of Leonardo da Vinci in the collection of Her Majesty the Queen at Windsor Castle". 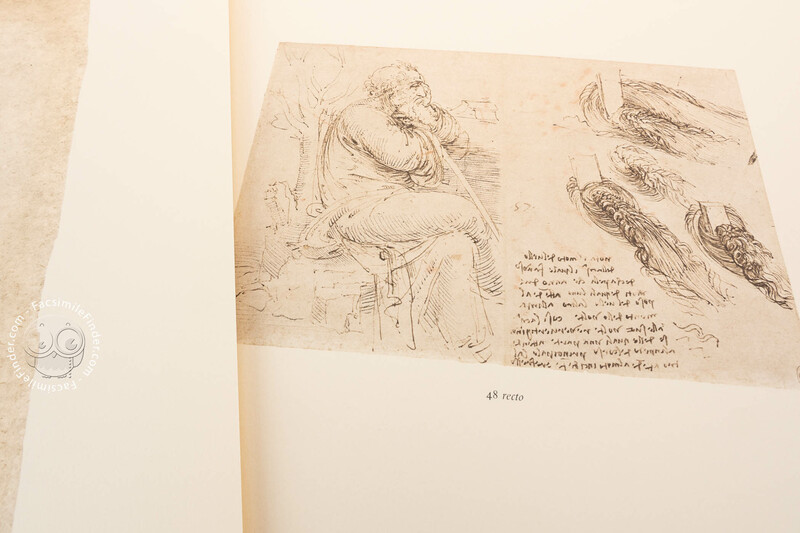 The second volume is Horses and other animals.